Philip Jones Griffiths is renowned as the foremost photographer of the war in Viet Nam. President of Magnum for a record five years, his 1971 publication Viet Nam Inc. was a crucial influence in changing public opinion in the US at the time of the conflict. His new book presents a period much closer to home, with many previously unseen images taken of Britain in the 1950s, 60s and 70s. Griffiths's pictures depict social and political affairs, and landmark events over three decades of change and upheaval in Great Britain. From the Beatles in Liverpool and coalminers in Wales, to CND marches on the streets of London and funeral processions in Northern Ireland, the images are acute, human, and full of his trademark perceptive commentary. 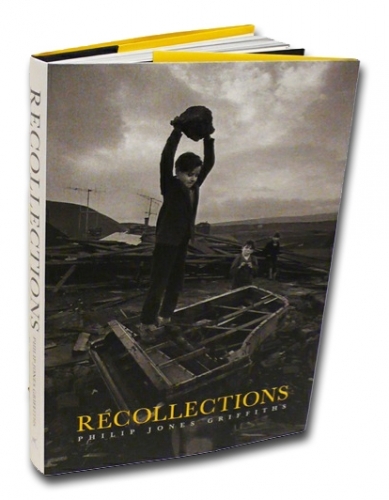 Recollections presents a domestic revolution from one of the world's greatest photographers, whose international fame covering a country on the other side of the world, is now put in the context of his equally incisive work at home.